WSP has won a large project to collect mobile mapping data for the main road network in Sweden. 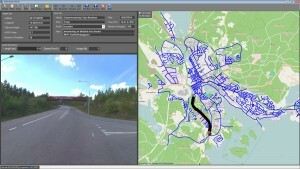 The client is the Swedish Transport Administration and the mission includes laser scanning and 360 panorama images intended for design and maintenance. WSP will use the Geo Tracker system, which is developed to perform large data collections in an easy way. 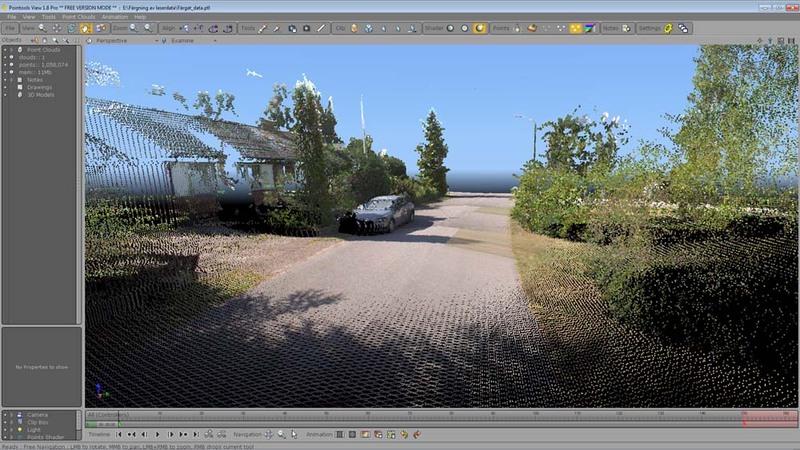 The software package GeoTracker Office also speed’s up the postprocessing and preparation of georeferenced point clouds and images. Work began in December 2015 and scheduled for completion in 2017. Please take a closer look at our image gallery. 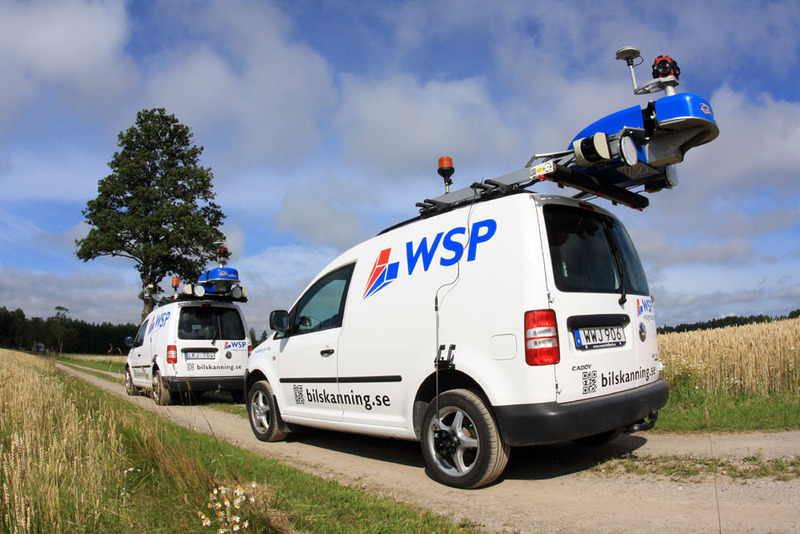 The 15 of September 2014 Swedvision delivered the second GeoTracker system to WSP Sweden. 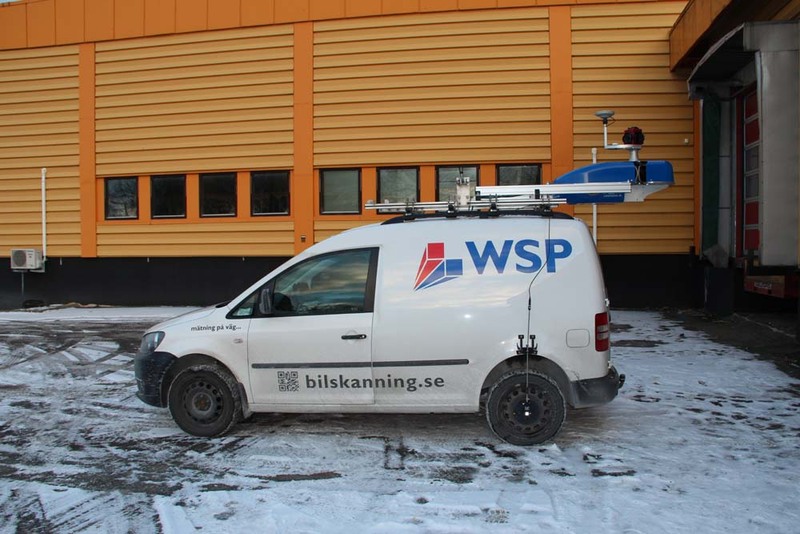 This system will be placed at WSP in Halmstad and will mainly be used for surveying in road design projects and data collection for road/street maintenance. 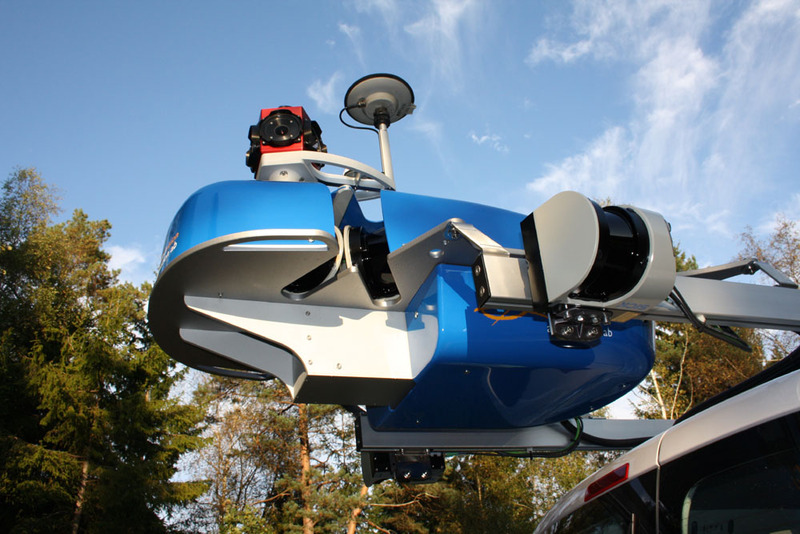 The system includes an upgrade with two extra SICK LMS511 scanners (total number of scanners in the WSP systems are six but it is possible to add up to eight scanners in a GeoTracker system). This new upgrade will give even more dense data and make it possible to capture data in higher speed. A new scanner function called “interlaced mode” also gives an outstanding point distribution. 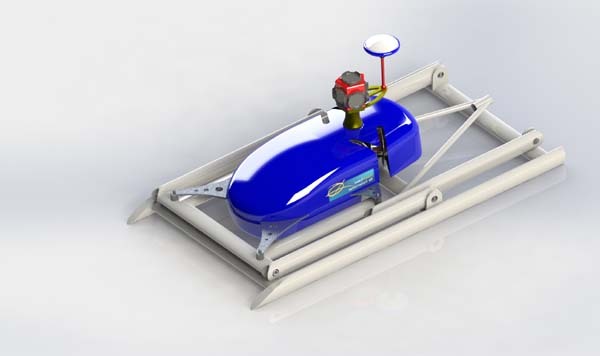 Both WSP systems includes an OxTs Inertial+ 250 Hz that gives 250 position and orientation measurement every second. This is also a key to a successful data capture. As if that’s not enough the GeoTracker system now have a new very precise odometer solution. This new solution makes it possible to measure and time stamp traveled distance with the incredible accuracy of 0.5 mm. In January 2014 Swedvison did a full scale demo with the new GeoTracker Mount. WSP attended as a customer to see if the new assembly was ready for use. Everything appeared to work very well and WSP have ordered the assembly. The delivery takes place in March 2014. – This step will give us the opportunity to move the Mobile Mapping system to other kind of vehicles in an much easier way. 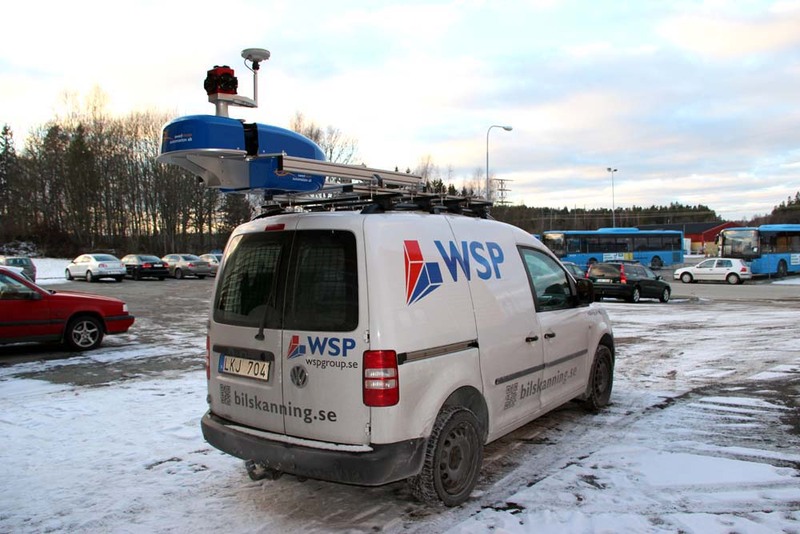 There are many advantages with this upgrade and after two years of successful Mobile Mapping production with our prototype system we finally have a complete and customized system says Magnus Larson, WSP. During the spring of 2014 there will be a very interesting software update for GeoTracker Office. 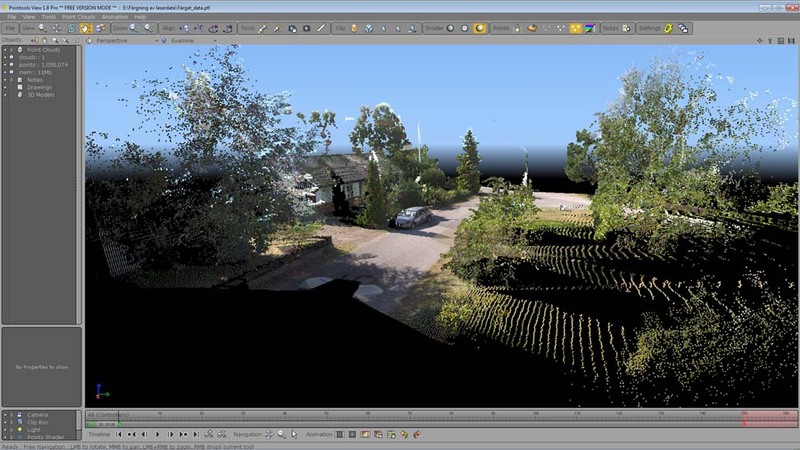 The big news is that this update includes the possibility to automatically color a point cloud from the Ladybug 5 system. Colored laser data provides many advantages during all kind of mapping and the objects become considerably easier to to find and digitize. 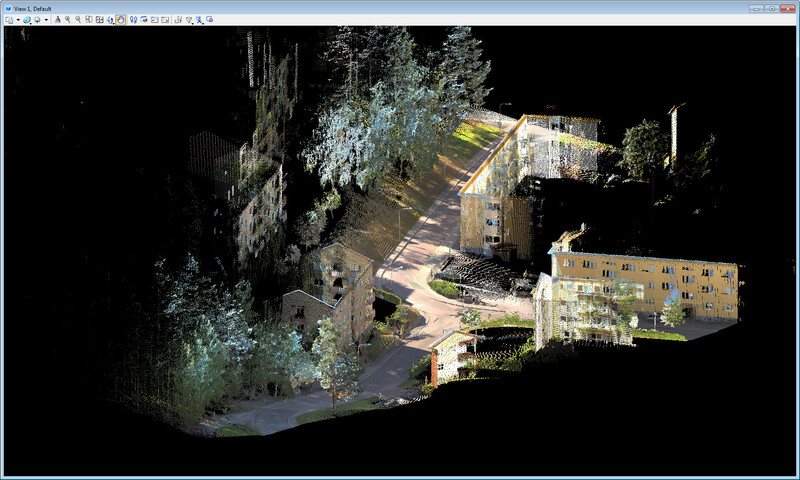 A colored point cloud is also much easier to use in Autodesk Civil 3D or Bentley Civil Power as support during the design. 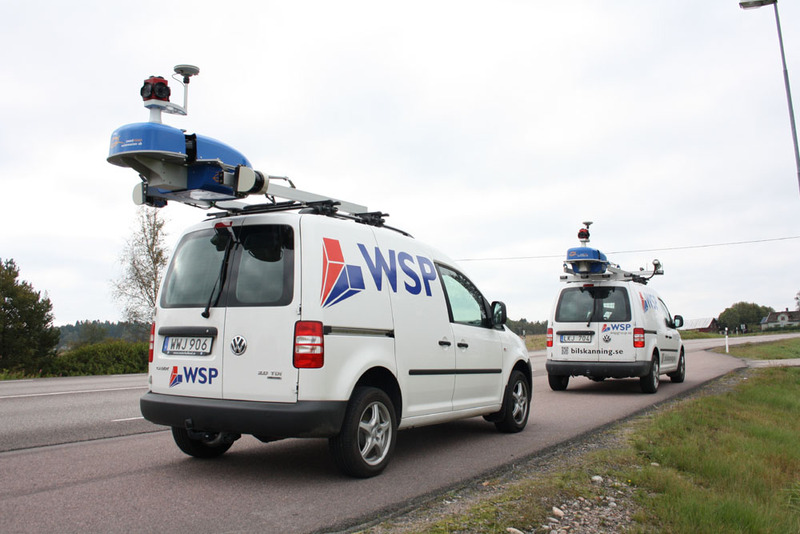 WSP buys the new GeoTracker Ladybug camera system and becomes one of the first providers in the world using the new 30 MPixel Ladybug5 camera for Mobile Mapping. 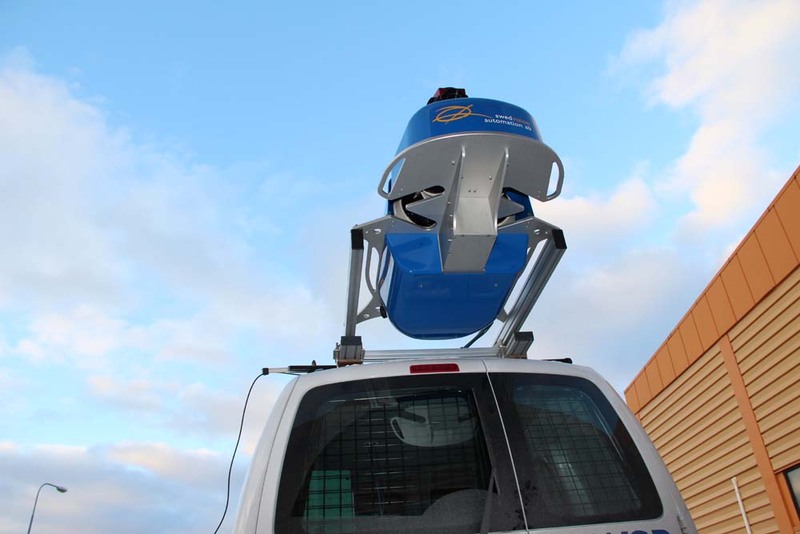 WSP also have the GeoTracker 5MPixel Stereo camera system and 4 SICK LMS511 laser scanners mounted on their vehicle. In addition to this they also have a two channels ground penetrating radar and all sensors are controlled by the data capture application GeoTracker Road. 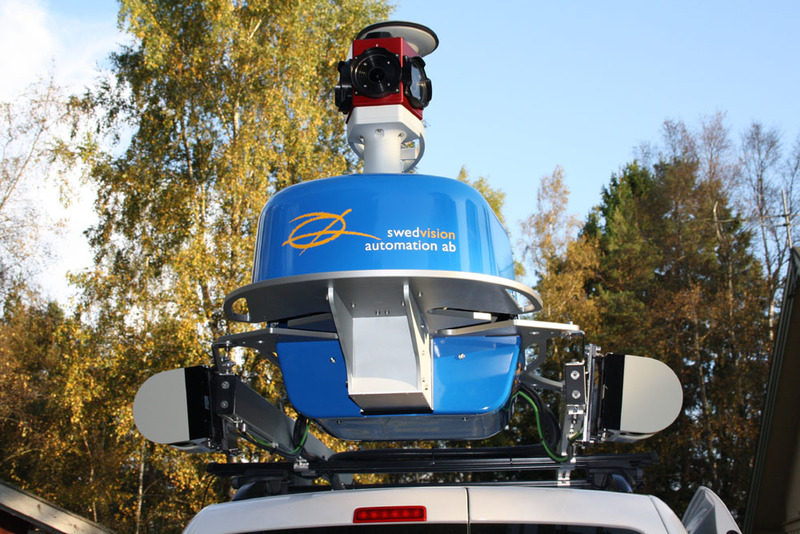 – This impressive 360° Ladybug5 camera will together with all the other sensors give us a very flexible and complete Mobile Mapping system. I’m sure this is a good investment and I can’t wait to run the first project , says Magnus Larson at WSP (http://www.bilskanning.se). 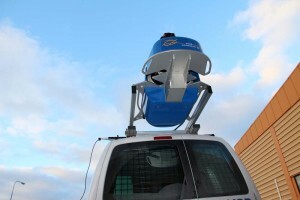 Swedvision releases the new GeoTracker roof mount with a Ladybug5 spherical camera on the top! The new mount encapsulates all sensors into one integrated and compact platform. This makes it very easy to calibrate and move the system from one vehicle to another. 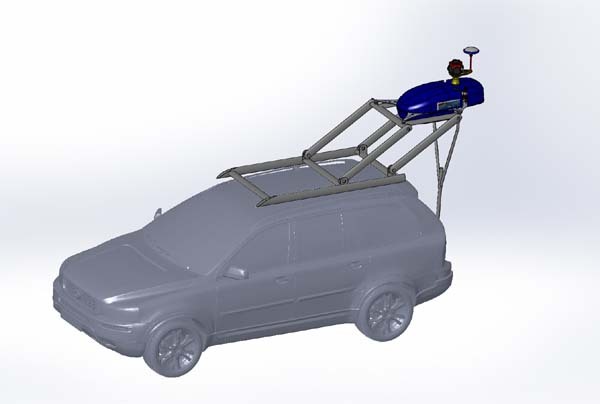 The mount is also easy to put up and the scissor lift will raise the scanner system to a good height above ground, even with a normal car. In 2012, WSP did a spectacular mobile scanning project in Gothenburg with their GeoTracker system. They scanned all lanes, both directions in the 1.200 meters long tunnel called “Götatunneln”. The aim was to locate the position of certain sensitive tunnel sections where the intersecting West Link’s railway tunnel now will be designed. 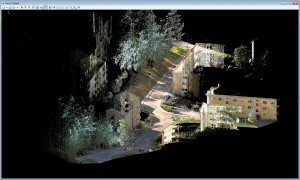 Why should we use Mobile Mapping and how does it work? This video made by the Swedish Transport Administration gives you a good understanding and explains everything in a simple way. 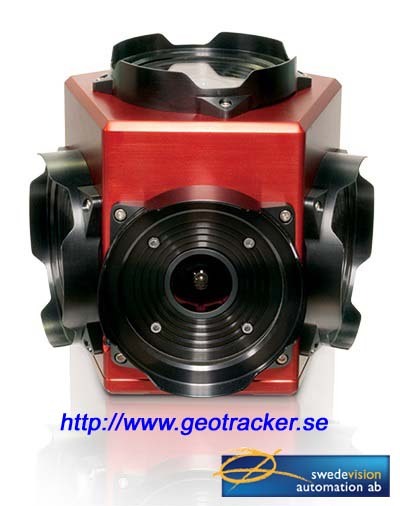 The GeoTracker system have been used in Sweden for these kind of measurements since 2011.